A few posts ago, I mentioned using a sulfate shampoo after having a bad run-in with a heat protectant, deep conditioner and serum that contained a lot silicone. Silicone, as well as the organic oils i.e. petroleum and mineral oil, can form a tacky buildup on hair that can seal out additional moisture and/or protein from entering the hair shaft. The reason why these ingredients can form this buildup is because they are hydrophobic "water-fearing" molecules; this means that they are not soluble in water so they can't be removed in it, and unfortunately these are also not removed with sulfate-free shampoos either. Due to the structure and composition of silicone and the other organic oils, they do not migrate into the hair shaft (like the natural oils that penetrate: coconut, olive, avocado and argan) and they can create linkages that can create absolute barriers. The barrier property of silicone and organic oils makes them extremely effective sealants, but that same ability to keep moisture in the hair also seals additional moisture out of the strands until these substances are removed from the hair. The inability for additional moisture to enter the hair when needed leads to dry, weak hair and breakage. Here is where sulfates come in; these are the stronger detergents that are capable of removing buildup to prevent the drying and damaging effects silicone and organic oil. Periodically a sulfate-containing shampoo should be used to remove these materials to keep the hair shaft pliable and free to absorb all of the moisturizing and strengthening products you need to maintain the beauty and health of your hair. 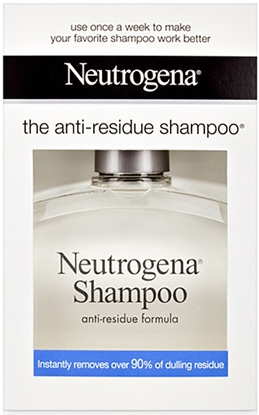 This shampoo works great for removing the build up created by dirt, styling products and the environment. It leaves my hair cleansed but doesn't leave it dry and brittle. It generally can remove most of my build up in one lather, but two may be necessary if gels and heavy oils or butters are a big part of your hair regimen. It's clear in color, has a great lather (like most sulfate shampoos) and a mild, clean scent. I love it's simple ingredients and the fact that it doesn't contain any other additives, so all you're getting is clean hair without all the crap. I use it monthly to maintain the health of my hair and ensure that my silicone use doesn't cause any setbacks. 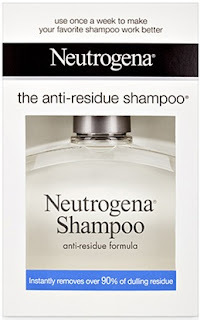 Claims: Anti-Residue Shampoo is a shampoo treatment that instantly removes up to 90% of dulling residue caused by shampoos, conditioners and styling products. It cleans hair thoroughly and easily rinses away. Use it once a week, then go back to your favorite shampoo. You'll find that it works better than ever. Works with all hair types. Hair is clean and residue-free.